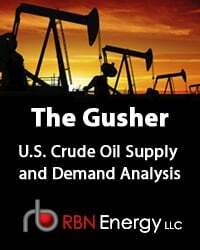 Although as everyone ought to know by now, overall crude prices have dropped more than 35% in the past six months, prospects for the prolific Permian Basin continue to look rosy. Wide price discounts experienced by Permian producers at Midland, TX versus West Texas Intermediate (WTI) crude delivered to Cushing, OK over the past 13 months have narrowed recently in anticipation of the Plains All American Sunrise pipeline coming online. Permian production has been surging all year and midstream companies continue to invest in and expand takeaway capacity. Today we review ongoing infrastructure plans to handle growing output. 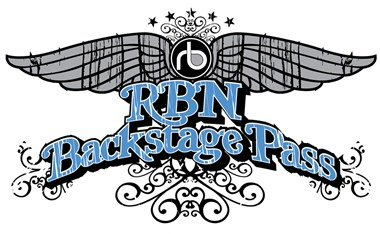 RBN Energy's Final 2014 Fundamentals Webcast for Backstage Pass subscribers has been scheduled for Tuesday, December 9th at 2:30pm central time. 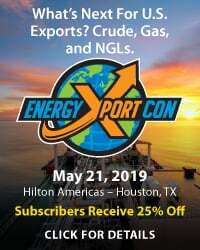 In this session, Rusty Braziel's presentation will feature an outlook for the impact of gas flow reversals into Louisiana, an update on the NGL frac spread collapse, and a few comments about crude oil prices. More information on Backstage Pass here. Despite all the talk about lower crude prices impacting drilling, Permian basin crude oil production has been on a tear this year. The November 2014 Energy Information Administration (EIA) drilling productivity report estimates crude production in the Basin increased 30 percent between December 2013 and December 2014 - up 425 Mb/d to 1.85 MMb/d. Longer term RBN’s latest forecast calls for continued increases in Permian production to at least 2.5 MMb/d by 2020. As we have discussed previously this year, producers have been making robust returns in stacked shale plays in the Permian Midland and Delaware basins (see Stacked Deck and our Drill Down Report on Permian production economics). Figure #1 shows the growth in Permian Basin crude production (the blue shaded area against the left axis) – up 90 percent since the beginning of 2011 - as well as the number of horizontal rigs drilling for oil in the Permian (red line against the right axis). After a lull from July 2012 until the start of this year, the rig count is up by 85 (20 percent) so far in 2014. 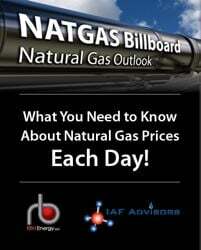 In the week or so since crude prices dropped 10 percent in response to the Thanksgiving OPEC meeting where the cartel decided not to cut production (see Cryin’ Time at OPEC) there have been many market reports of cut backs in drilling budgets. However, two things should be noted in this context. First production will not drop immediately even if drilling slows – any impact will only be on the rate of increase in production – and that is likely to take some time. Second, if producers are considering reducing their drilling, they are unlikely to give up prospects in the current Permian sweet spots we have described – they are more likely to pull back in less productive basins first. So in the short term, expect Permian crude production to continue expanding. 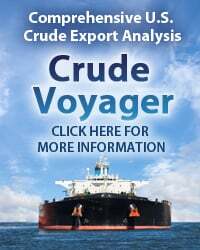 And that means the congestion that producers have run up against trying to get their crude to market will continue as well – until new infrastructure comes online. Case in point is the pipeline capacity constraint at Midland since the fall of 2013 that has left producers receiving discounted prices for crude versus the price available at Cushing, OK (more on those discounts in a minute). Multiple pipeline infrastructure expansion projects have been underway in response to these constraints - as we described in our “Come Gather Round Pipelines” series in April, May and June of this year. 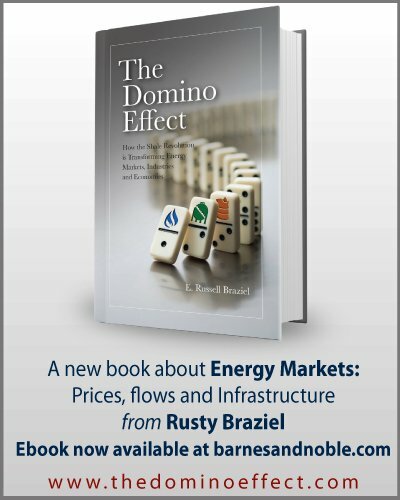 The most highly anticipated of these projects was the 300 Mb/d BridgeTex pipeline from Colorado City in the eastern part of the West Texas Permian Basin to the Gulf Coast at Houston, which came online at the end of September 2014. But after it opened - as we outlined in October - the BridgeTex pipeline did not immediately relieve congestion out of the Permian (see A Bridge Too Near). 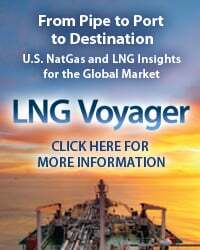 In fact the line ran at about 55 percent of capacity between October and late November – according to our friends at Genscape who track crude pipeline flows. The reason: insufficient capacity to transport incremental supplies from the booming production centers in the west of the basin to the BridgeTex origin at Colorado City – especially between Midland and Colorado City. 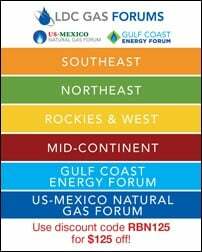 To access the remainder of Good Day Sunrise – Permian Pipeline Projects Continue Despite Price Crash you must be logged as a RBN Backstage Pass™ subscriber. Running On Empty- Can Permian Crude Gathering Infrastructure Be Overbuilt?